Team Golf! : In keeping with other Canadian sports, this will be a team event with all teams vying for the honour of the CCCJ Rose-Golden Toque! (Absolutely no slashing, but high sticking is allowed. Cool Prizes: We are arranging some great prizes to pressure you to take your game to the next level! Of course, the legendary CCCJ Trophy, along with the Rose-Golden Toque will be awarded to the best team, or least the winners! And if that’s not enough…. every cart will be equipped with a cooler filled with beers (for medicinal purposes only) to heat you up, cool you down or to just to kick back and enjoy your day in the sun! 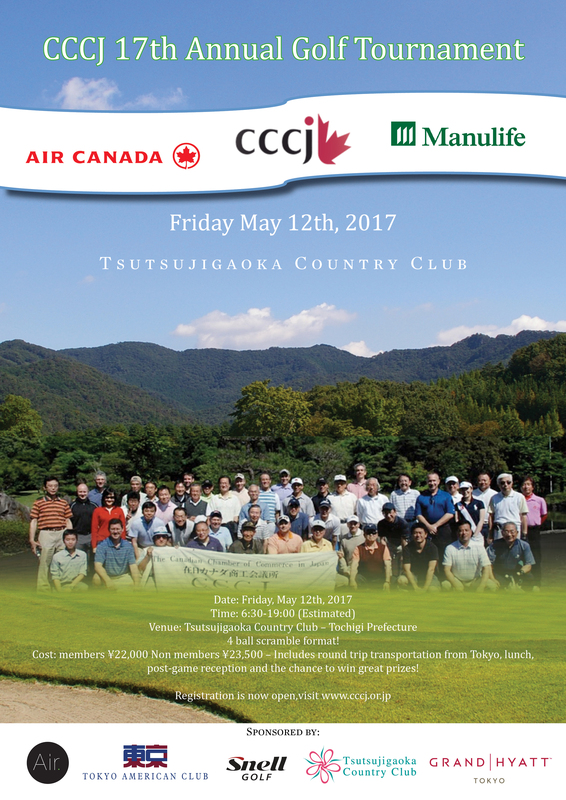 Arriving in Style: The official CCCJ Golf Party Bus will meet & greet you at none other than the Canadian Embassy, Aoyama Ichome- with beer on board. (We’ll also have other drinks for those with more sense. Awards Party: An amazing buffet, with 'nomihodai', naturally, will be prepared in your honour. After whining and dining, you’ll accept your well deserved awards and then be whisked off once again on the Golf Party Bus to carrying on partying. Local (Canadian) Rules: A one stroke penalty for slashing, hooking or releasing your club in an obnoxious manner.